But let me say this: Pricing is everything. No matter how many other elements you want to throw into your go-to-market strategy - pricing is THE ONLY ONE that will generate your revenue. Do it right and it will guarantee your success and bring you glory. But one pricing mistake can also cost you your business. The principle of pricing is quite simple. It’s all about finding a sweet spot between your costs and how much your customers are willing to pay for your product or services. The spot that brings your company more optimised revenue at best cost level. But if you have ever tried doing it, you know very well there is nothing easy about pricing. Sure, it may be pretty straight-forward if you’re selling drills, but it’s not the case when you’re selling tickets and admissions. Especially online. As much as it’s still based on supply and demand, there is a number of additional factors you need to consider. Urgency, decision span, weather impact, calendar date, scarcity, social influence - just to name a few. As if this wasn’t enough, you also need to make sure that you stay competitive within your market. The tricky part is - not just amongst other venues, but also your very own affiliates and re-sellers. And then, there is a modern generation of your customers. They are fantastic, no doubt. But they are equally demanding (and, pardon my honesty, spoilt). You really need to make an effort and respond immediately to their ever-changing needs. If you want to keep them, that is. And that’s when AI comes to rescue. Specifically, the self-learning algorithms. Whatever you may think of it, AI is a big part of our everyday lives. Smart response suggestions in Gmail, search platforms, product and content recommendations, online banking… The number of your daily activities relying on AI is constantly growing. Did you even realise? And it’s a good thing. Applications driven by Artificial Intelligence make our lives more efficient. They help us navigate in the complexity and busyness of modern reality. In the end, we all enjoy an easy way of connecting with friends, the convenience of shopping suggestions and the flexibility offered by Uber rides. Remember how I said there was nothing easy about pricing? I lied. AI-powered pricing is another great example. The idea of letting algorithms manage the prices has expanded from the airline industry to pricing concerts, pricing taxi rides (think of Uber's surge price), pricing hotel rooms, and much more. Why does it work so well? Because online commerce provides massive amounts of good quality data which is crucial for building models of customer behaviour. (No more guessing. How good is that?!) And secondly, because online prices can be adjusted quickly and efficiently. Algorithmic pricing is very effective. It’s also effortless. But be aware! There is a bunch of different models when it comes to algorithmic pricing. And however most of them are labelled alike, they are not all the same. The differences between each model can be critical and it is very important that you understand them. Dynamic vs. real-time pricing. What’s the difference? Both, dynamic and real-time pricing, are forms of online price optimisation. But since each of them is based on different principles - they are far from identical. Dynamic pricing is simply adjusting the price level based on demand and time. This approach works very well for hotels and airlines but proved itself to be insufficient for museums and attraction centres. That’s because bookings for leisure venues are different from flight and hotel reservations. Most are made up to 2 days in advance, with as much as 45% made for the same day. Customers are usually already within the area and looking for tours and activities. That makes their buying decisions very specific. As much as the admission price is still an important element, the last-minute discount isn’t going to be a driving motivation. Let’s simplify it. 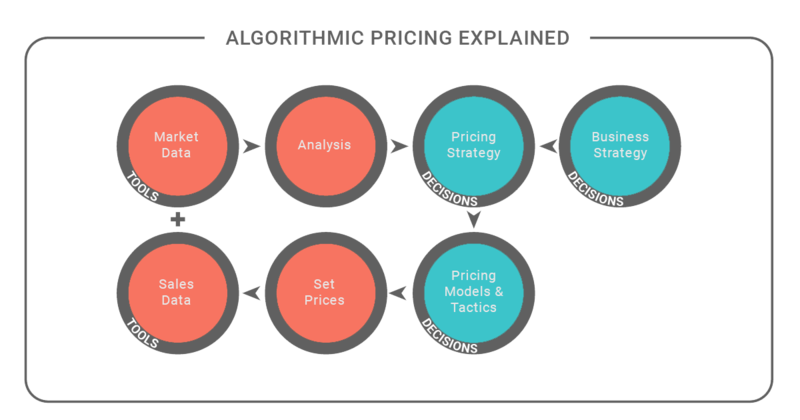 Pricing algorithms are mathematical formulas applied for calculation of the optimal price - based on given variables. Powered by AI, these algorithms rely strictly on real data continuously updated in real time. As such, they are able to optimise your online prices based on a very complex structure of correlating elements. Variables like traffic jams, weather conditions, number of sold tickets or specific time slots can be taken into consideration depending on your specific needs (in specific time periods). Here’s an example: the admission price on your website could be calculated based on the current demand (number of clicks) in combination with the day of the week, weather conditions and the price offered on the affiliate websites. And that calculation will be automatically updated every time at least one of these elements changes. As a result, the AI-driven solutions allow you to always offer each of your online customers personalised and data-driven price recommendations that are perfectly in line with your revenue goals. There is no doubt that implementing a real-time pricing solution in your online strategy will give you a competitive advantage on the market. First and foremost, your ticket sales and online revenue will increase. This may seem fairly self-explanatory, but I want you to understand all the implications of that. Aside from money, the RTP solution will liberate you from the dependency on 3rd party re-sellers and help you regain control over your brand image. The relationship with your customers will also improve and your online rankings will be bound to grow. Win, win, win. Win. Secondly, all your efforts will be efficient and measurable. Thanks to AI-driven optimisation you will manage your inventory and visitors better than ever before. Take the pricing flexibility approach to spread your visitors more evenly and increase traffic during the slow seasons. You can be as specific as differentiation per hour. How thoughtful of you to make sure your customers won’t be stuck in long queues. Give your visitors experience as irresistible as your ticket price! To say that real-time pricing algorithms are at the cutting edge of pricing strategies at the world’s leading companies is merely to state the obvious. And yet, the very thought of changing a ticket price is terrifying for most venue owners. Personally, I get the concerns. What if it turns out a mistake? What if we lose revenue? What if our reputation suffers? But the thing is, real-time pricing optimisation is not a futuristic concept anymore. Most importantly, it really works - the sooner you realise that, the better. 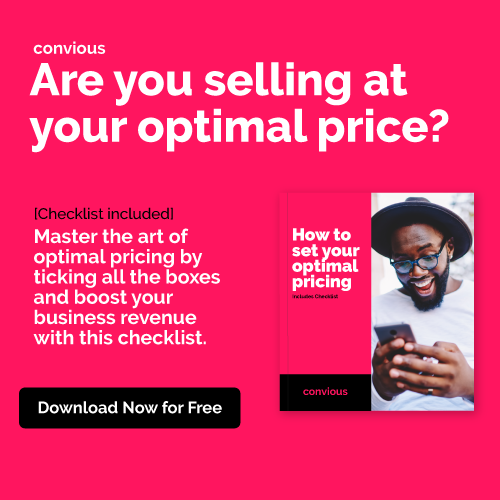 Start by getting familiar with the AI-driven pricing solution and understanding the full extent of the impact it will have on your business. Are you ready to optimise your ticket prices and increase direct online revenue? Get in touch for more information or sign up for the RTP trial now!